1910-1920: The Golden Age of Poetry at the Movies? 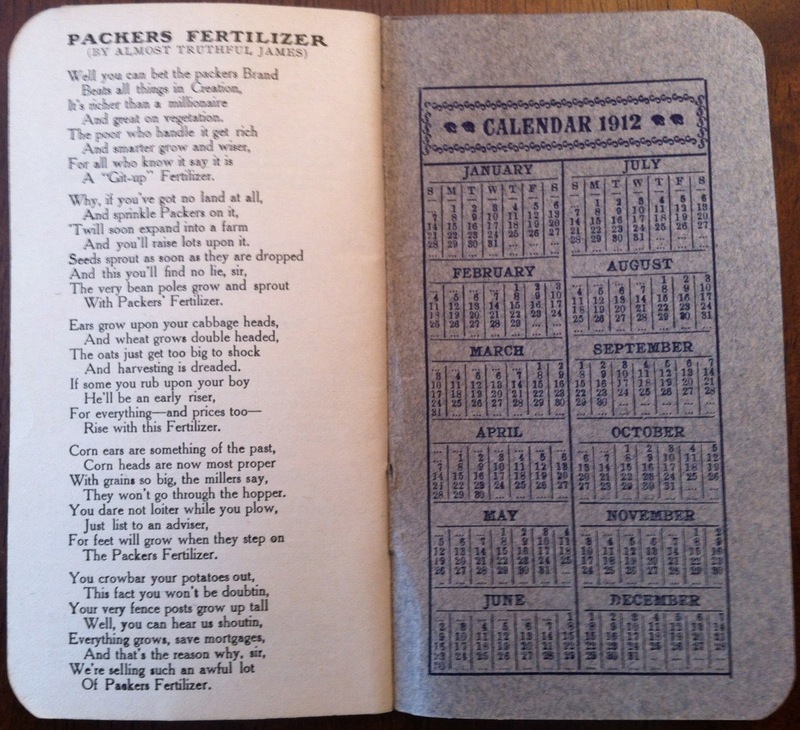 How popular was poetry in the 1910s? Well, writing for the North American Review in 1911, poet and lawyer Arthur Davison Ficke wrote, "just now there appear to be more writers of verse than there have been at any time in the history of literature." 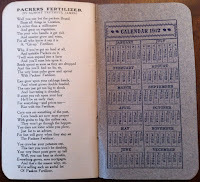 A decade later, in her New York Times article "Poetry as a Major Popular Sport," journalist and social commentator Helen Bullitt Lowry wrote, "Not only gentlefolk are now urged to compose their own, but shoe clerks and manicurists, school teachers and bootblacks, policemen, reformers and flappers." And in 1931, considering the damage Modernism had done to the poetry-reading public, H.L. Mencken would look back on the 1910s with nostalgia. "In the last heyday of the craft—say in 1915 or thereabout—" he wrote, "[people] bought poetry so copiously that a new volume of it often outsold the latest pornographic novel." 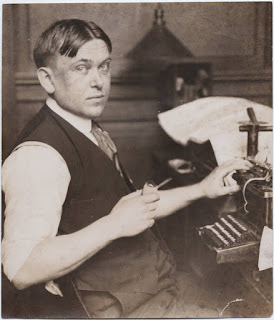 So what if Mencken was creating a bit of a tall tale of his own about poetry before Modernism; the fact that he set his "golden age" of poetry in the 1910s is good enough for us. Perhaps the most amazing thing we've discovered about the decade of 1910-1920 so far, however, is the number of poems that were adapted to film. Yes, poems in the short and silent film era were regularly made into movies. This is new to us—almost totally brand new. 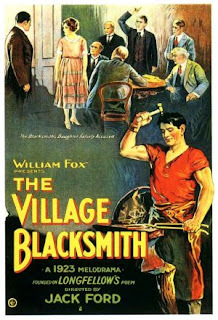 Did you know, for example, that Henry Wadsworth Longfellow's "The Village Blacksmith" was adapted to the screen six times between 1898 and 1936—and that Frank Capra and John Ford each directed a version in 1922? Or that John Greenleaf Whittier's "Maud Muller" found its way to screen five times between 1909 and 1928? Or that Tennyson's "Enoch Arden" was adapted ... wait for it ... in 1911, 1914, 1915 and 1916? Why haven't we seen anything about this before? Has someone written about it, and where? 'Cause we think this is pretty huge, folks. Like, for starters, it's awesome evidence of how supposedly outdated "genteel" poetry helped broker the new medium of film. 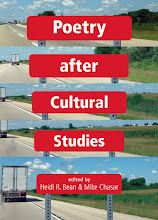 It allows poetry scholars to bring adaptation theory—and film theory in general—to poetry studies and vice versa. It gives us examples of poem inter-titles and thus a chance to think about how people were reading poetry on screen. It helps us reconceptualize the binary between "popular" and "literary" poetry—since Longfellow and Tennyson, for example, are considered "literary" but appear in a "popular" medium. It furthers the claim that poetry scholars gotta stop looking only at the page—damn the hegemony of the book and the little magazine!—if they want to understand just how big of an impact poetry had on modern life. And it gives us a huge new archive to study, beginning with the Internet Movie Database. Just mull that over for a moment. Mull some more. 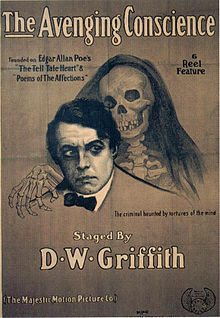 If these movies were good enough for the likes of John Ford, Frank Capra, and D.W. Griffith (Griffith directed a 1911 version of Enoch Arden, wrote for the 1915 version, and anchored The Avenging Conscience  in Edgar Allan Poe's "Annabel Lee"), shouldn't they be good enough for us to take a look at too? Unfortunately, space is too limited for us to do much with this in the "Popular Verse" chapter of the American Literature in Transitions essay that we're currently writing for Cambridge, but check in with that essay when it's published to see what we make of this phenomenon. In the meantime, start watching. And if you're a graduate student or teacher of graduate students, just think about what a great dissertation this-all would make. It's yours for the taking.